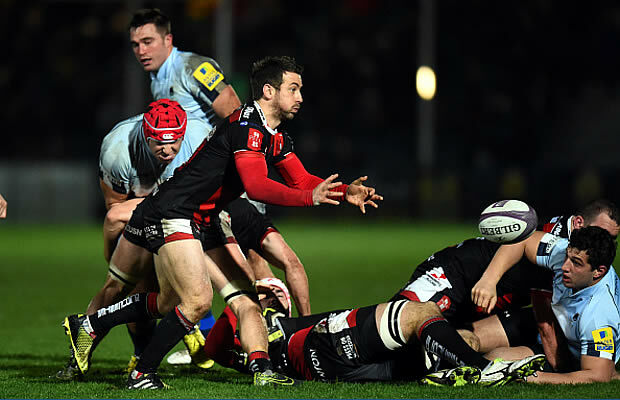 Leicester Tigers smashed Cardiff Blues 9-43 in the Anglo Welsh LV Cup and book a place in the LV Cup Semi-finals. Leicester sealed their place in the last four with a convincing win in Cardiff, ending the Blues’ hopes of a semi-final place. Adam Thompstone crossed twice, with Fraser Balmain, Niall Morris, David Mele and Tommy Bell also scoring. That was enough to top pool three and secure a semi-final spot. 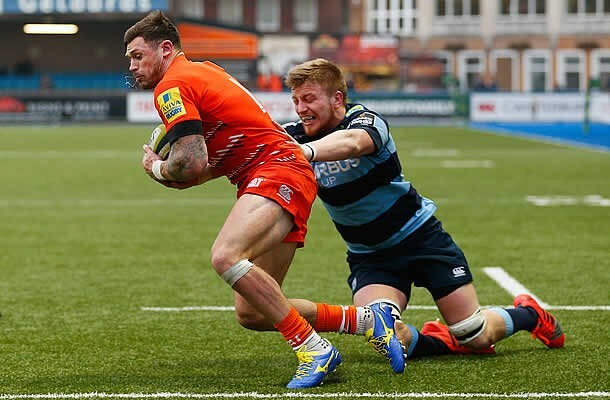 Cardiff Blues: 15 Geraint Walsh, 14 Owen Jenkins, 13 Joaquin Tuculet, 12 Adam Thomas, 11 Lucas Amorosino, 10 Gareth Davies, 9 Tavis Knoyle, 8 James Sheekey, 7 Ellis Jenkins (c), 6 Macauley Cook, 5 Lou Reed, 4 Miles Normandale, 3 Craig Mitchell, 2 Rhys Williams, 1 Thomas Davies. Leicester Tigers: 15 Tommy Bell, 14 Niall Morris , 13 George Catchpole, 12 Jack Roberts, 11 Adam Thompstone, 10 Owen Williams, 9 David Mele, 8 Laurence Pearce, 7 Harry Thacker, 6 Jamie Gibson, 5 Sebastian De Chaves (c), 4 Jack Whetton, 3 Fraser Balmain, 2 Neil Briggs, 1 Michele Rizzo. Replacements: 16 George Nairn, 17 Tom Bristow, 18 Logovi’i Mulipola, 19 Greg Peterson, 20 Tom Price, 21 Sam Harrison, 22 Matt Smith, 23 Terrence Hepetema.